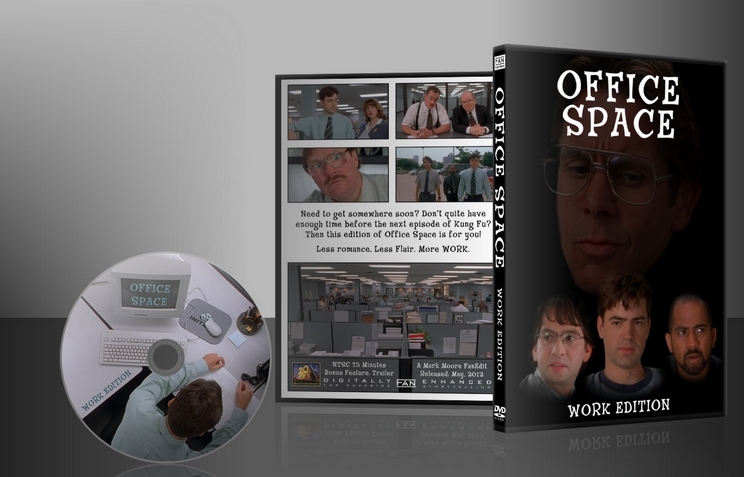 Don’t have enough time for a full viewing of Mike Judge’s epic “Office Space”? You want to just watch the funny parts without having to watch all that romantic stuff? Ask and ye shall receive. To make the movie focus more on the characters’ work lives. 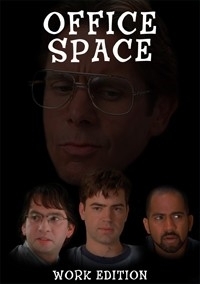 I have been a fan of “Office Space” since late 2005. Recently, I thought it might be fun to create a version that focuses more on work and less on romance. I love the film as it is, but I wanted to create a shorter version with less “flair”. Great work. This was a great movie, and now it's a lean, mean great movie. Your cuts didn't hurt the narrative at all; they just kept us focused on the funniest/most compelling parts. This replaces the original for me. Technically very proficient, very well done. Even with so much taken out, this was still a pretty fun movie to rewatch. The only comment that I would add to Gatos’s review would be that you could actually have made this a “flairless edition”. Watching this edit I realized that you could completely eliminate Jenifer Aniston and it wouldn’t change anything. Overall for the edit itself, 8.5/10. So I just finished watching this edit. Overall, job well done! This is the first edit I’ve seen by Mark Moore. There was a trailer as a bonus feature that was really clever. The edit itself, technically flawless IMO. Audio and Video quality were excellent. I could not tell where any of the cuts were (I guess it helps that its been quite awhile since I’ve seen the theatrical Office Space). I did however remember at least a couple of the scenes that were missing. This edit works great and Mark Moore definitely achieves his goal in regards to the intention of the edit. The only thing you could say was a “plot hole” is when Peter talks to Joanna in the parking lot and says “You don’t work at Chaki’s anymore?” if they had still been dating she probably would have told him that she quit. But that’s an extremely minor detail and just something any viewer with knowledge of the theatrical version would be aware of. The shortened runtime was fine although the movie is fairly short to begin with. I definitely didn’t miss the (“You slept with Lumberg? !” side plot) It’s hard to decide if a fanedit like this would be my replacement version (It’s rare for me to consider a fanedit as my replacement version). So I’m undecided. I give this an 8/10. And again really great work on the editing especially the flawless audio which I think is the hardest part of fanediting.